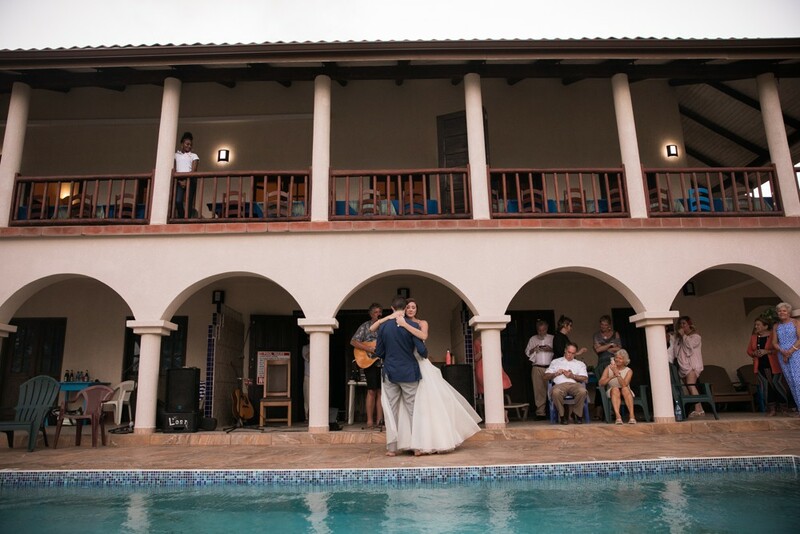 Our company jumps at the chance to photograph destination weddings. When Helen asked if we could go to Belize with her and Justin I said yes before she finished talking. I have been friends with them since I married into a friend group from IND. They are so much fun and I envy their close friendship since high school. They have ritual cheers at every wedding, loads of inside jokes, and a familiarity that every childhood friend develops. Belize was never on my radar to visit, but now I understand the rugged tropical charm of Placencia. The colorful buildings line dirt roads where vendors sell local pastries and every hippy tapestry you could ever want. We all went on a catamaran cruise where we all snorkeled, watched tropical fish, and found an island covered completely with conch shells. The water is crystal clear and Belize is famous for a scuba diving area called the blue hole. If you are an adventurer, a scuba enthusiast, or want to be in a very laid back place you should visit Placencia. Justin & Helen have been together for basically forever, aka 12 years..now 14. They have a comfortable nature about them, are elegant, artistic, and make each other laugh. It is great to see a couple that has such an established relationship and you can still see the spark light up between them. They have a fur baby named Maple who melts your heart with her boundless energy and love for the two of them. Everyone stayed at the Mariposa Beach Suites which is a quaint beachfront hotel. It had a camp feel because everyone ate together, lounged by the pool, or had adventures together in town. 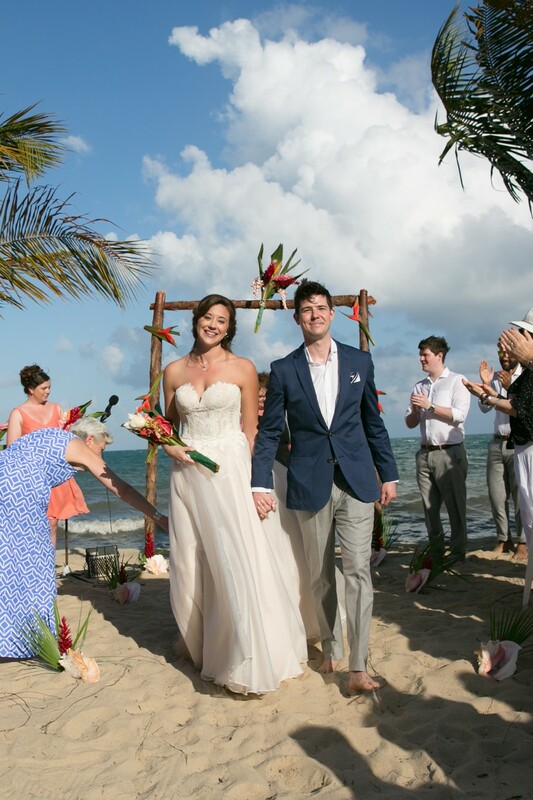 The ceremony was on the beach under swaying palm trees and the sea as the background to their photos. Helen’s dress from Gamberdellas was stunning and I geeked out as it billowed with every warm breeze coming off the ocean. The wedding party were fun to photograph due to the guys bromance and the girls popping champagne bottles all over themselves. Helen’s dad played the guitar for the first dance and everyone teared up…including myself. The night ended with everyone in the pool, a belly full of belikin, lots of laughs, and sandy toes. 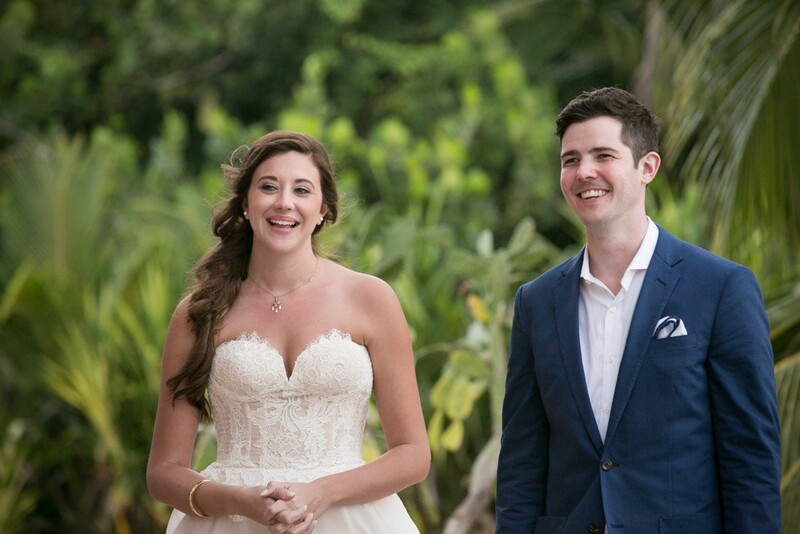 We can’t believe how fast time flies and it has already been two years since we all celebrated on the beach with Helen & Justin! It was an epic week that we will never forget and so happy we could be there with them!